Pirates form vicious and blood-thirsty crews, so that the life expectancy of the captain results from his ability to bring in more booty. 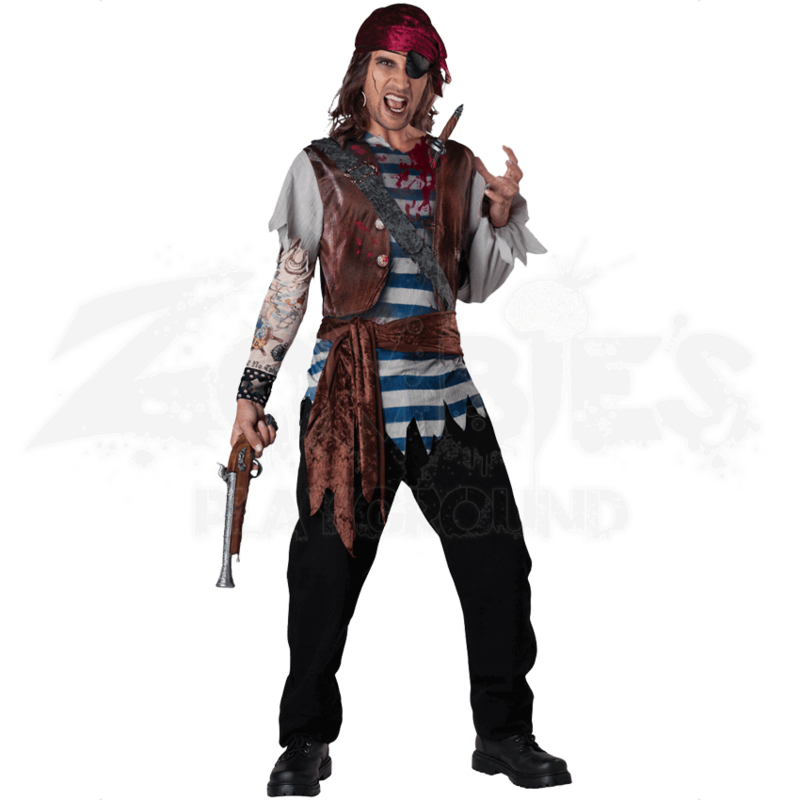 The Mens Dead Mans Chest Costume shows the fate of one unfortunate stabbed pirate. The vinyl dagger protrudes from the shirt and stands without aid among the blood patterns on the striped blue and gray fabric. With a red headscarf and faux tattoo sleeve, you can display your fearsome reputation. The chest strap and waist sash add elements of fashion to the outfit of this pirate, so that you can showcase your bloody end in style. 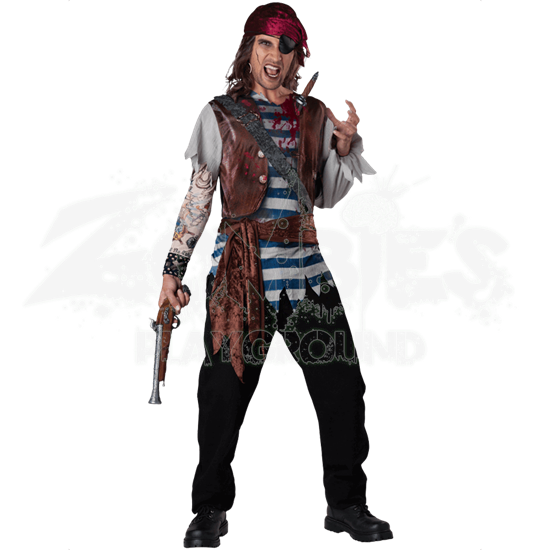 The Mens Dead Mans Chest Costume makes a superb outfit for Halloween with its comfortable design.